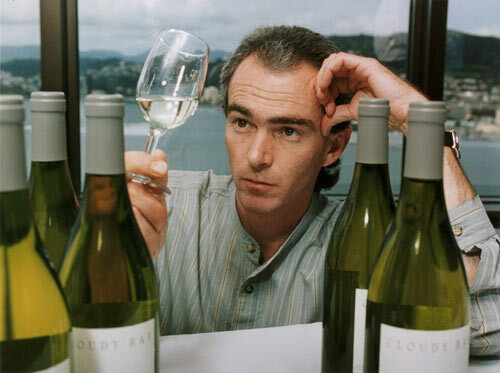 Kevin Judd, who was winemaker for Cloudy Bay winery since its first vintage in 1985, inspects a glass of 1994 sauvignon blanc. Judd gained an international reputation for Cloudy Bay sauvignon blanc. In 2009 he set up Greywacke winery, also based in Marlborough.